Contractors and homeowners who demand the finest landscaping materials in Austin, Texas, turn to ASAP Stone and Landscaping Supply. Whether you require a variety of landscaping products for a large-scale commercial project or simply some soil for your home garden, you’ll find competitive prices on everything you’ll need at our stone yards. Soils – Our selection includes everything from cost-effective chocolate loam to nutrient rich options, such as topsoil and garden soils that are ideal for many different types of plants. 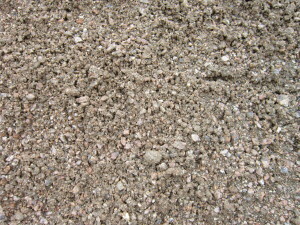 Aggregates – We offer decomposed granite and gravel that is perfect for walkways, paths, and driveways in addition to larger aggregates, like Texas river rock. Mulch – Our premium mulch can improve the look of your landscaping project and help retain moisture. We also offer top-quality sods to help keep yards looking lush and healthy all year long. In addition to these landscaping materials, we also offer an enormous variety of stone products, which are ideal for landscaping applications. For example, we offer boulders for decorative accents, patio stone for building beautiful walkways, and dry stack stone for projects like fire pits and retaining walls. What’s more, you can count on outstanding service at our stone yards – we offer advice from experienced experts, fast service, and can even arrange same- or next-day delivery. If you’d like to learn more about the landscaping materials that ASAP Stone and Landscaping Supply offers in Austin, TX, contact us today.